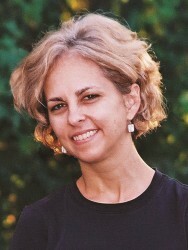 The eighth major novel from America's Beloved Storyteller, two-time Newbery winner Kate DiCamillo. For the first time, Kate DiCamillo returns to the world of a previous novel, revisiting the story of Louisiana Elefante, whom the New York Times Book Review called "one of DiCamillo's most singular and arresting creations" who "delights on every page." 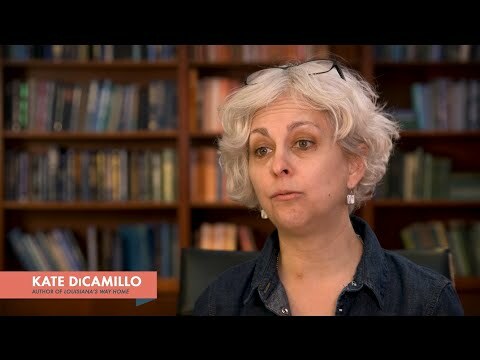 For the first time since her debut, the eternally popular Because of Winn-Dixie, Kate DiCamillo has written a novel in the first person, bringing readers right into Louisiana's world. When Louisiana's Granny wakes her at 3am, bundles her in the car and starts driving, Louisiana assumes this is just another one of Granny's "middle-of-the-night ideas". But this time Granny keeps driving and Louisiana wonders if she'll ever see Raymie and Beverly (her two best friends), Archie the King of the Cats or one eyed dog Buddy again. Louisiana's story should be devastating and believe me when I tell you that parts of it are (have tissues on hand), but Louisiana's perseverance, determination and courage transforms her story into one of hope. My main niggle was that while Louisiana did express sadness, anger and confusion about her circumstances, the extent of those very understandable feelings appeared to be glossed over on occasion in the rush to find the positive. This is Louisiana's second appearance in a Kate DiCamillo book but the first of Kate's books I've read. While I could easily jump straight into reading 'Louisiana's Way Home' without having already read 'Raymie Nightingale' I want to get to know Raymie and Beverly. I'm keen to find out what Louisiana was up to two years ago and am very interested in learning more about Louisiana's relationship with her Granny. Louisiana is simply adorable and I was equally fond of many of the people she meets along the way. I also appreciated the roles the cantankerous characters played and I loved that the author was able to bring all of the characters to life, even those we only meet briefly. I want to tell you all about the different characters that I fell in love with but I don't want to spoil anything for you so instead will encourage you to discover them all for yourself. Louisiana's story is ultimately one of family, friendship and deciding who you want to be. This young girl is going to find her way into the hearts of so many readers, children and adults alike. Thank you so much to NetGalley and Candlewick Press for the opportunity to read this book. I was born in Philadelphia, Pennsylvania, raised in Clermont, Florida, and currently live in Minneapolis, Minnesota. I write for both children and adults and I like to think of myself as a storyteller. I think of myself as an enormously lucky person: I get to tell stories for a living.